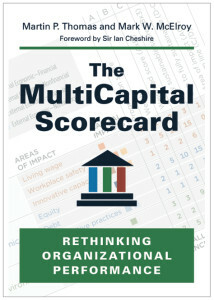 The MultiCapital Scorecard (MCS) is a free and open-source management tool (a public good) that organizations can use to measure, manage and report their performance in a fully integrated (Triple Bottom Line) way. 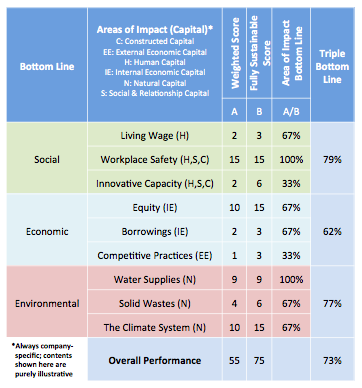 In principle, the MCS is based on the idea that performance is best understood in terms of what an organization’s impacts on vital capitals are relative to organization-specific norms or standards for what they should be in order to be sustainable. 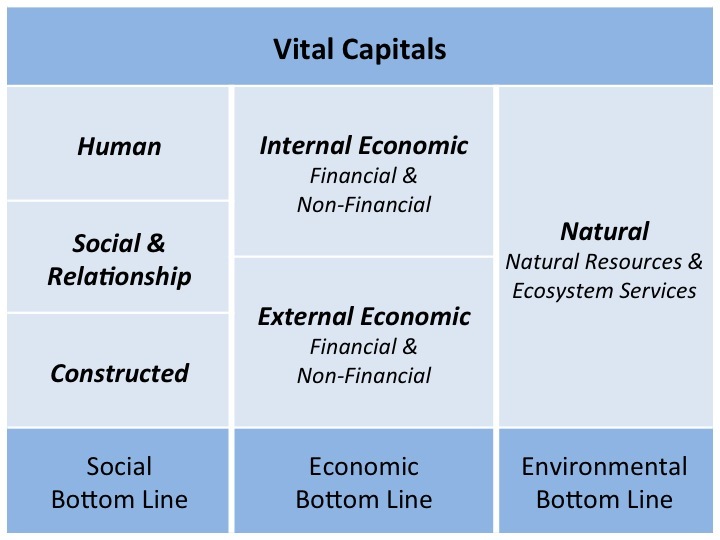 Managing performance, therefore, boils down to managing impacts on vital capitals, a basic tenet of multicapitalism. The basic theory of performance behind the MCS, then, is that in order to perform well, an organization must not put either the sufficiency of vital capitals or the well-being of stakeholders who depend on them at risk. 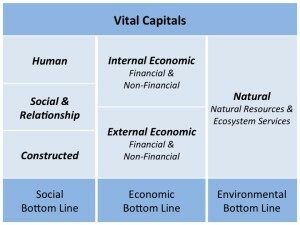 In the case of internal economic/financial capitals, for example, the relevant norms or standards might consist of sector-specific targets for not-less-than returns on equity (lower limits); for human, social/relationship or constructed capitals, they might take the form of not-less-than levels of capital production and/or maintenance (again, lower limits); and for natural capitals, they will typically consist of not-more-than levels of consumption (upper limits). And because performance also depends on both local and global circumstances that will almost always vary by organization, the MCS is context-based — no two organizations are alike and performance accounting in the new economy should be oriented accordingly. Indeed, the MCS is the world’s first and only context-based integrated measurement, management and reporting system that makes it possible to assess performance across all aspects of the Triple Bottom Line in terms of impacts on vital capitals. It is the only system extant, that is, that can help answer the questions all organizations should be asking themselves: How much is enough to be sustainable, and are we?